Invest In The Best Weight Lifting Belt To Reach Your Fitness Goals! When it comes to being fit and healthy, one of the things you must prioritize would be strength exercises. Lifting weights is a popular workout that many bodybuilders swear by. And when it comes to lifting weights, you will need the best weight lifting belt to support yourself . However, with many weight lifting belts available, which one is the best? In this article, we will show you the ultimate guide to purchase the best weight lifting belt. Just like any usual belt, a weightlifting belt is the one that you wrap around your abdomen. This is to improve your weightlifting, as when you take a deep breath, the belt limits how much your stomach expands. This increases your intra-abdominal pressure and stabilizes your spine for better performance in your lifts. It makes your whole body lift heavy in proper form and with fewer risks of injury to your back. 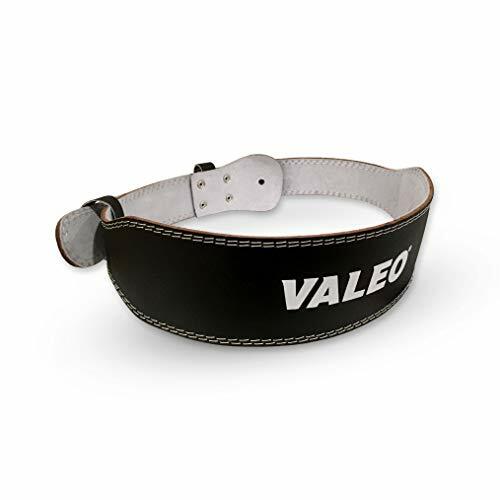 Most weight lifting belts are made of genuine leather for strength and durability. They come in different dimensions, depending on the measurements and preference of the bodybuilder. A weightlifting belt will help stabilize your body and reduce stress on your back. That way, you are less likely to experience any intense pain or after burn when you're through with your workout. It also helps prevent any injury while lifting, as it supports your whole upper body. It helps improve your posture and body biomechanics. You'll be able to lift more with your legs rather than your back, which is what you want when making moves that focus on the leg, such as deadlifts and squats. Studies show that using a weight lifting belt will increase your power, strength, and performance. It helps maintain the power of your reps throughout the whole set. Some say it's what helps you lift even heavier and break your record. Make sure you get a weightlifting belt at a size that is adequate to your abdomen and height. It's best to start off with popular brands and search for customer reviews from trusted sources. The more positive, the better! You would want to make sure that you invest in the best weight lifting belt, so while you may be surprised with a hefty price tag, you are assured that one is durable and will last for many workouts. Look out for a belt which is at an average price without breaking your savings account or you scrimping on low-quality materials. Take on a good straight position then set the belt to, however, you're comfortable with. Adjust the tightness, make it tight enough to support your body while still being able to take a full breath. If you can still take a full breath a notch tighter, we recommend you go for the tighter one for a better starting position. It all boils down to how comfortable you feel, but be prepared to sting while you lift, as it presses onto your abdomen. Make sure you focus on proper form and that your belt helps support your body rather than be the culprit of a failed set. 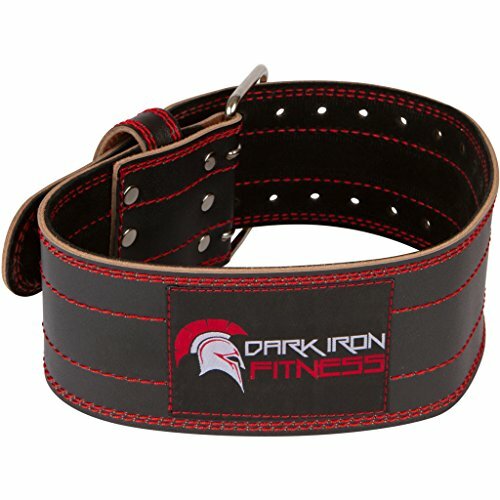 The best feature of Dark Iron Fitness' Pro Weight Lifting Belt is the fact that it's made for professionals but at an affordable price you'll appreciate. It's made out of patented leather that won't break or wear out. Plus, it comes with great features comparable to even more expensive brands out there. Made out of top quality cowhide that won't easily give in under pressure. It's assured to last for years to come. It has an adjustable non-slip fit, so it won't easily slip as you workout. It has good construction for a lightweight body, weighing less than two pounds. The belt performs excellently, giving the full lumbar support you need for all your workouts. It's easy to hand wash and has a sleek black and red design for attractiveness and style. This is definitely for serious lifters, as it enables you to lift heavy but with sturdiness and comfort. It runs a bit small, so make sure you look at the measurements before purchasing one. This belt is definitely for serious weight lifters and beginners seeking to save money bet want a good faulty belt. It's definitely worth the affordable price. 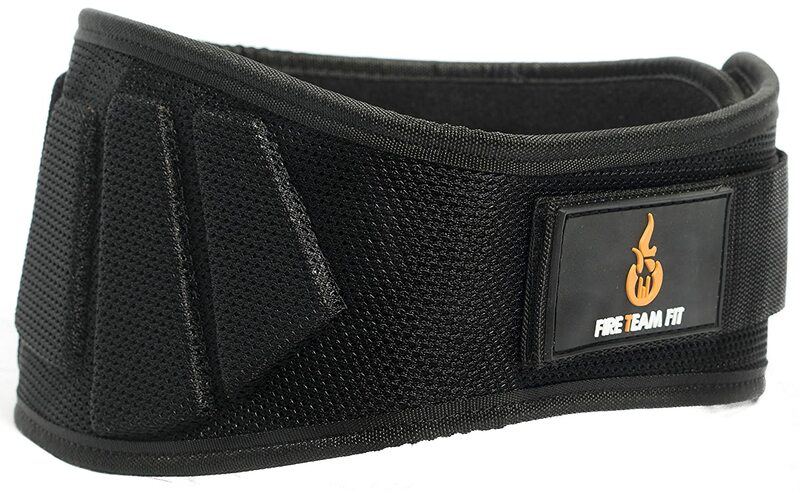 Fire Team Fit is a excellent choice because of its wide range of designs. It comes in four different colors suitable for both men and women. We also appreciate velcro strap that has you adjusting the belt with ease and without the hassle of all the buckles. The belt is suitable for any bodybuilder, whether they are beginners or advanced fitness buffs. It has good pads for better support and avoids any injury. Made out of qualified leather used to last, with different colors to choose from. They may run a bit big, so it's better to switch to smaller sizes just in case. It comes at a very low price, making it worth the investment! It's made out of qualified materials known to last for a few years of intense workouts and lifting sessions, perfect for any bodybuilder looking for a quality weight lifting belt in good designs. 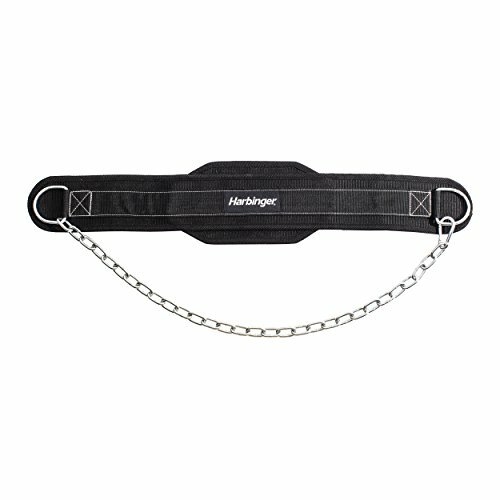 What we appreciate about the Harbinger Weight Dip Belt is its contoured construction and the fact that one size WILL fit all, no matter how small or big you are. It's fairly sturdy construction is known to last for long periods of intense workouts while still provide the sturdiness and support you need. It's made of polypropylene, making it less delicate than normal leather,which also makes it easier to clean and maintain. The belt has a 30-inch steel chain with a speed clip for better performance. It weighs less than two pounds, making it a comfortable fit when worn. The webbing loosens up a bit as you use it. The chain is a bit short, depending on your height.Its affordable price is worth the materials. While it's sturdy like your usual weight lifting belt, it can wear out quicker than one made of leather. At a very affordable price, we can definitely say it's an investment for any strength trainer or bodybuilder out there. But with that being said, we would recommend this belt for beginners or for those on the smaller side of sizes. The Ader Leather Power Lifting Weight Belt is your usual weight lifting belt without the frills. It does its job on supporting your back and upper body without any complaint or risk or damage. Plus, its classic design makes you look more professional and stronger as you lift. It's made out of top-quality leather and a soft suede lining for extra comfort as you lift. Easy to use closure system with a double-prong seamless roller buckle and a single loop. This makes adjusting and taking the belt off hassle-free. An extremely heavy-duty belt built to last for years to come, no matter how hard you exercise. It's the perfect balance of firm and comfort , giving you the support for your knee for any types of lifting exercises. It will take some time to get used to the strong material and size if you're used to a four-inch belt that narrows to the front. The product varies in price, depending on the size you're getting. While the higher range may seem a bit steep for a weightlifting belt, it's actually a good purchase, especially for those who want to take weight lifting seriously. 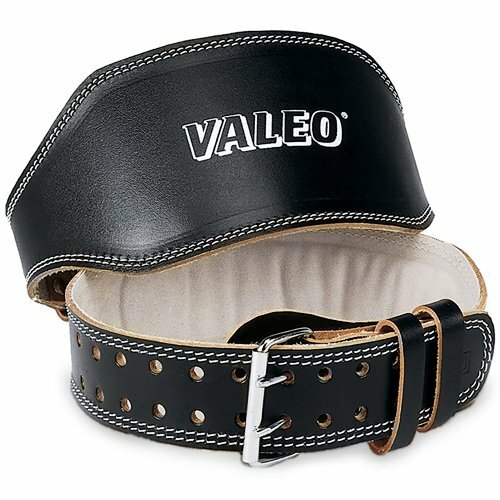 What we love about the Valeo Leather Belt is the padding for better comfort and quality. It even has the suede lining and genuine leather for strength and durability, known to withstand the most intense of workouts for years to come. We also dig the classic but modern black design, making it perfect for any bodybuilder. It's your basic weight lifting leather belt with no frills. Depending on your size, it's one of the most affordable ones in the market. It has a foam lumbar pad for better comfort and support. The double-prong roller buckle makes adjustment better and without any chances of it slipping while exercising. It's made out of quality cowhide and double-stitched edges to assure strength and durability. It's best for beginners, as it's not legal for a powerlifting competition. 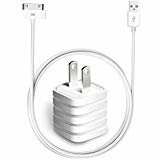 The product varies in affordable price, depending on the size you're getting. We can say that it's an investment to consider. This is because of its professional design and construction which will surely keep your whole body supported throughout your lifting session. Weight lifting has a ton of benefits you will be able to reap. Not only will you get to build more muscle, but you will also achieve that leaner look and have your body function more efficiently. You will need to invest in good equipments and accessories to support your body as you lift heavy weights, though. One of the best things to invest in for lifting weights would be the best weight lifting belt. It holds a ton of benefits that will have you lifting with ease and preventing injury along the way. Hopefully, this guide on purchasing the best weight lifting belt has helped you become more knowledgeable about what to buy. 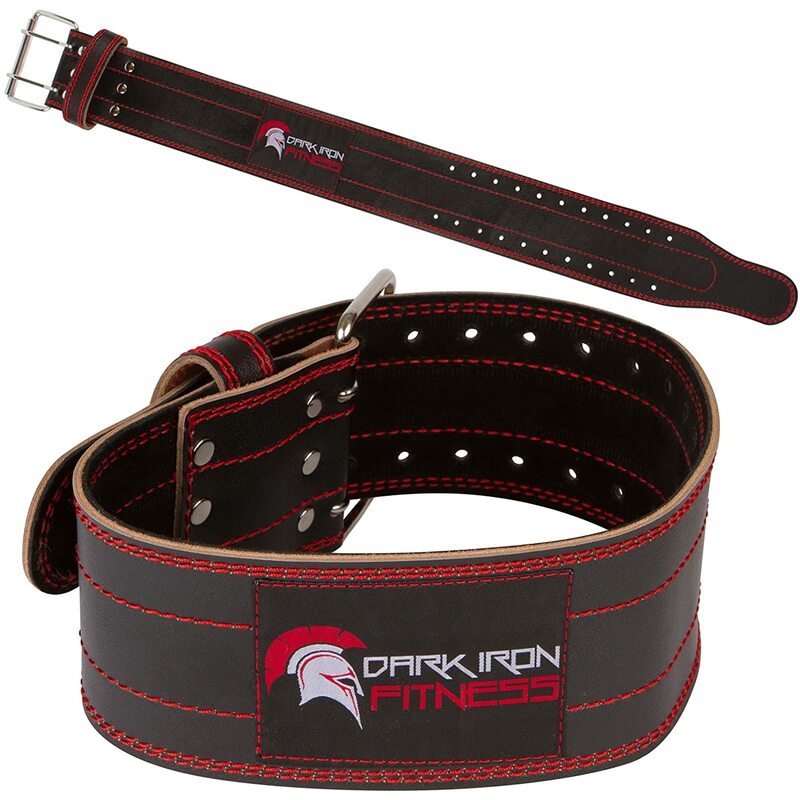 We chose the Dark Iron F﻿﻿itness﻿﻿﻿﻿﻿﻿﻿ ﻿﻿weig﻿﻿h﻿﻿t ﻿﻿lifting belt because of its professional features and design- which is made out of strong leather built to last. It's got everything you need in a weightlifting belt, from the full support and comfort, down to the lifetime warranty! If you have any comment on these weight lifting belt reviews, then feel free to comment! Your posts are greatly appreciated.